Local Technology solutions company, AIS (Advanced Integrated Systems) will be among the many companies to participate in the 2019 HIMSS (Healthcare Information and Management Systems Society) Global Conference & Exhibition to continue to broaden the company’s customer base. It will also give AIS the opportunity to see what others have to offer that may complement what the company currently has in a bid to seek partnerships to improve the customer experience. 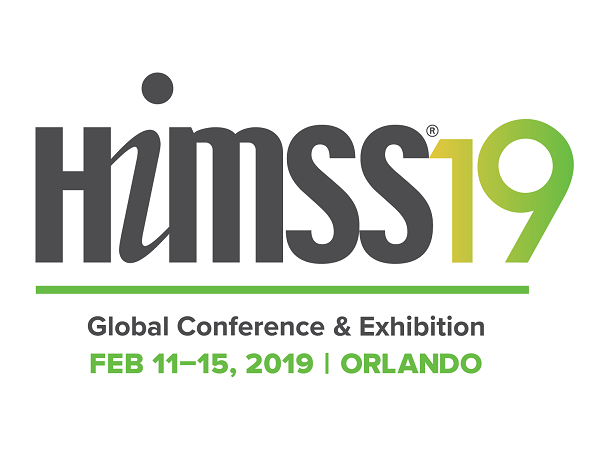 The 2019 HIMSS Global Conference & Exhibition slated for February 11–15, in Orlando, Florida, is a leading health information and technology conference, bringing together over 45,000 professionals from over 90 countries for the education, innovation, and collaboration needed to transform health through information and technology. “We currently have health technology which covers a wide range of disciplines including medical, dental, radiology, as well as hospital, pharmacy, and laboratory management. Our systems are all interoperable and HL7 compliant,” noted Halsall. This may actually be a herald for AI (Artificial Intelligence) becoming integrated in Healthcare in Jamaica and the Caribbean as noted in “Remote Care Management & Telemedicine heralds AI Healthcare in Jamaica”. “This means that they can be integrated with external technology such as apps and remote care tools which can only enhance the patient experience. This is why we continuously seek new partners and products to improve our current offerings. HIMSS also provides access to these potential partners” said Halsall. So how does this help AIS to promote their products and services in 2019? HIMSS will allow AIS to determine how they can develop synergies to improve what is currently being offered to clients. The IT health sector is always developing bringing about new and innovative ways of diagnosing and treating patients. “We are always finding ways to improve what we currently have and will continue to do so. However this year, we will be focusing more on the Caribbean market as more and more countries have approached us seeking assistance with getting started with digitizing their operations,” said Halsall. Already, AIS has begun talking to other healthcare facilities in the Caribbean who are in need of digitizing their platforms. This may be by implementing PAS-MD (Medical Practice Management System) to improve doctor and patient communication from home medical care as described in AIS PAS-MD allows Doctors and Patients to communicate through Telemedicine. Or it might take the form of interconnecting their medical databases making treating patients remotely that much easier as noted in AIS HIMS at UWHI heralds AI Telemedicine in Jamaica via Medical Databases. “We have had several exploratory talks and we will now be seeking to increase our presence in these markets. Locally our platforms – Medical Practice Management System (PAS-MD) and Pharmacy Information Management System (PIMS) have been steadily taking off and we will be seeking to increase our customer base for these. We will also continue to provide excellent service and options to our existing customers in other areas,” noted Halsall. HIMSS innovation companies offer a unique breadth and depth of expertise and capabilities to support healthcare systems and market suppliers. HIMSS designs and leverages key data assets, which guides operations and clinical practice through predictive analytics tools and maturity models to advise global leaders, stakeholders and influencers of best practices in health information and technology to ensure the right information is received at decision-making time.